Space officials were so concerned about the satellite's full tank of hydrazine fuel because they believed it had frozen solid, due to the low temperatures aboard the spacecraft. They feared that the titanium-shielded "toxic iceberg" would survive intact all the way to the ground and disperse around the crash site, not in the upper atmosphere. Safety officials had never been faced with this type of falling material before. It is the sense of the House of Representatives that this accomplishment safeguarded United States citizens and inhabitants around the world from potential harm. Security analysts have suggested that Beijing could use the planned U.S. interception to justify the Chinese military's unannounced destruction of a defunct weather satellite in January 2007. That interception drew criticism from senior U.S. military officials, who complained that it had left a cloud of debris that was dangerous to other space traffic. Chinese experts in turn have questioned the Pentagon's explanation that it wanted to down the spy satellite to avoid contamination from hazardous fuel on board. "In my opinion, this decision is imprudent and ill advised," said Li Bin, an arms control specialist at Tsinghua University in Beijing. "If this satellite is shot down, the toxic fuel will still be there. Therefore, the pollution still exists." But, Li said, destroying the satellite would be an effective way to prevent sensitive technology from falling into the wrong hands. A Chinese Foreign Ministry spokesman, Liu Jianchao, said the Chinese government was highly concerned about the U.S. plan, Xinhua, the state-run news agency, reported late Sunday, noting that the target satellite was loaded with toxic fuel. Liu also urged Washington to fulfill its international obligations and avoid threatening security in space and the security of other countries, Xinhua quoted him as saying, without elaborating. "Relevant departments of China are closely watching the situation and working out preventative measures," Liu said. Just days after China and Russia renewed their call for a global ban on space weapons at a disarmament conference, the United States announced late last week that it was preparing to fire a missile at the crippled reconnaissance satellite during one of its passes over the Pacific by the middle of next week. The United States opposes treaties or other measures to restrict space weapons. It doesn't matter whether the US downed the satellite to show China that it also has the right stuff or to prevent any liability for damages that might come as a result of the satellite dropping toxic chemicals on people as it returned to the Earth. What is obvious is that China and the US are engaged in a new space race (see the CDT article entitled, The New Space Race: China vs. US), which means plenty of business in the future for space law attorneys. The US is going to shoot down a broken satellite that is supposedly falling back to the Earth. There is speculation that this display is a response to China's destruction of a weather satellite last January (see here), and others argue that this is a legitimate move by the Pentagon to avoid liability for any damage that might come from the 5,000 pound satellite breaking apart during reentry, which will spread its debris and toxic payload over several hundred miles (see here). The satellite could be shot down as early as this evening. A report from the Belfast Telegraph says that the USS Lake Erie is moving into position to fire an SM-3 missile at the satellite as it passes over Ireland. The Belfast Telegraph also mentions at the end of the article that the Russian government has criticized the decision to shoot down the satellite. The Russian government said, "The decision to destroy the American satellite does not look harmless as they try to claim, especially at a time when the US has been evading negotiations on the limitation of an arms race in outer space." It is quite the coincidence that China and Russia submitted a draft of the Treaty on the Prevention of the Placement of Weapons in Outer Space, the Threat or Use of Force Against Outer Space Objects and the next day the US announced the need to shoot down one of its satellites. This seems to be a pretty clear statement to the world what the US thinks of the treaty proposed by China and Russia. The Wired Blogs recently published a series of posts entitled, How China Loses The Coming Space War, which are written by MIT researcher Geoffrey Forden, Ph.D., examining the possibility of an all-out Chinese assault on American satellites (h/t Wendy Jackson). A year ago China performed a successful anti-satellite test, shooting down one of its own obsolete weather satellites, putting into overdrive widespread speculation about a possible outer space war with China. In a previous post we joined in this speculation, discussing the new space race and China's use of anti-technology technology as a means to defeat the USA in an armed conflict. Forden obviously believes that the USA would ultimately win an outer space contest with China. His arguments are quite compelling and worth reading in their entirety. High above Asia, as the bars and clubs of Beijing begin to fill up at the end of another work day, a US early warning satellite spots the tell-tale plume of a missile streaking out of the wastes of Western China. Warning bells sound all through the Pentagon. Tensions have been running high between China and the United States, as the two countries struggle to resolve the latest installment of the Taiwanese crisis. And China has had a run of unprecedented activity in space: the past two days have seen China launch four large missions into deep space, three within the last six hours.. Fortunately, a high-resolution American spy satellite will be over that second launch site within minutes, giving the US a unique ability to determine what is going on. But even though tasking orders are given to photograph the suspected launch site, none are returned. The satellite, code-named Crystal 3, no longer responds to commands. Within minutes, US Space Command reports that four NAVSTAR/GPS satellites—used to guide American drones and precision bombs—have stopped broadcasting. China’s space war against the United States has started. Forden then gives a brief summary of his research and overall conclusion, which is that the fear of a single strike that could cripple America's satellite network--an outer space Pearl Harbor-- is unrealistic. The rest of Part One is devoted to analyzing China's successful anti-satellite test. Through a process of backtracking, scientists have reconstructed the collision of the missile and the satellite. "By backtracking the debris to the point where they all converge, we can determine the two most important aspects of the Chinese ASAT: how China destroyed that satellite, and just how capable its satellite-killer really is." Based on the information gathered from backtracking, Forden concludes that the Chinese have accomplished a phenomenal feat. According to him, China "accomplished the most sophisticated of space maneuvers: a hit-to-kill interception, the equivalent of hitting a bullet with a bullet." In Part Two, Forden argues that China does not have the ability to launch enough anti-satellite missiles to cripple the US armed forces. "The United States may be the country most dependent on space for its military activities. But it is also the least vulnerable, because of the tremendous redundancy of its space assets." He analyzes whether China could destroy deep-space navigation satellites, early warning satellites, communications satellites, and low altitude satellites, and he concludes that China just couldn't do enough damage to render the USA forces impotent. The sheer number of American military and civilian satellites is simply far more than the number of anti-satellite missiles China has at its disposal. The most interesting aspect of Part Three is Forden's plea for countries to avoid space warfare. He points out that the destruction of any satellite in outer space will create debris fields that will continue to orbit the Earth, eventually damaging or destroying other satellites. These debris fields could easily cause a run-away chain of collisions that renders space unusable -- for thousands of years, and for everyone. Not only is this a quickly growing and important sector of the world’s economy (sales of GPS receivers alone reportedly exceeds $20 billion annually), but space is also used for humanitarian missions such as forecasting floods in Bangladesh or droughts in Africa. We cannot allow space to be forever barred to our use for what turns out to be a very minor military advantage. If the military utility of attacks in space are so minor; if the active defense of space assets is impractical, counterproductive, and unnecessary; and if the danger resulting from the consequent debris affects all space-faring nations for thousands of years to come, it is clear that diplomacy is in every country's interest. The first step the United States should take is a simple declaration that we guarantee the continued flow of information to any country whose satellite is destroyed by an ASAT. We could do this using either our military or civilian-owned satellites. After all, if the space assets of the United States are not vulnerable to attacks because of the inherent redundancy, the same cannot be said of China’s other potential regional competitors such as Australia, India, or Japan. Each of these countries has only a handful of satellites that could be quickly destroyed if China chooses to attack them. This declaration would effectively eliminate any military advantage that a country might get from attacking its neighbors limited fleet of satellites. After that, we should adopt the code of conduct that is being developed by the Stimson Center that establishes “rules of the road” for responsible space-faring nations. Finally, we should work toward a treaty banning the future testing of these most dangerous of anti-satellite weapons: the so-called "kinetic kill interceptors" that create such large amounts of debris. It'd be a first step towards containing the worst effects on war in space. Forden's series of posts consider the worst possible scenarios and conclude that the American armed forces would still be effective. "And much like Japan’s failure to destroy the US carrier fleet, a Chinese attack on US satellites would fail to cripple our military, China’s strategic goal in launching a space war." However, Forden does not discuss the possible consequences of China synchronously launching a cyber attack on the US. It seems like that would make a significant difference in his analysis. Either way, his analysis of the space war situation is fascinating and certainly worth reading. A new bill in Congress could bring the US in line with the patent systems of other countries. If the Patent Reform Act of 2007 passes, then the US will cease to be a first-to-invent patent system and will become a first-to-file system like most of the other countries in the world. When it comes to recognizing a creator’s right to a patent, most of the world has adopted the “first-to-file” rule. This means that the person or entity that files the patent first, is granted the patent without having to prove that they were the first to actually invent it. It was, as a former law school professor of mine used to say, “a race to the patent office door.” On the other hand, the United States has abided by the “first-to-invent” rule. This means that the patent applicant has to prove that it was he/she/it that was the first to invent the patentable item by being the first to reduce the patent’s underlying idea to a practice. Generally speaking, the first-to-file rule appeals to those who value efficiency in the often long patenting process. While those who value equity are proponents of the first-to-invent rule which seeks to reward the labor of the inventor. Her post is an excellent read, and it briefly points out some of the implications the passage of this bill could have on space law and the general US practice of IP. It seems to me that switching from a first-to-invent to a first-to-file patent system is like the US switching to the metric system. However, switching patent systems could have far greater implications than merely streamlining the systems between countries. It becomes a question of who should be rewarded? The first to invent or the first to get his patent to the trademark office? Apparently, the rest of the world appreciates efficiency over equity. What the heck is space law? Well, a good lawyer could argue that there’s no such thing as space law. But I think there is, and it revolves around a unique set of international agreements and treaties that govern space. The master treaty — the grandfather — is commonly referred to as the Outer Space Treaty. It came into effect in 1967, at the height of the cold war, and basically reflected the concerns of the two superpowers at the time, the U.S. and the Soviet Union. One of the fundamental principles is that space should be used peacefully. The treaty states that no weapons of mass destruction can exist in space, and reflects the idea that space should be used for the benefit of mankind. It also says that no country can claim sovereignity in space, establishes an international system for the registration of space objects and creates principles governing responsibility and liability for problems that arise in space. Liability in space? What does the treaty say? Liability in space is really addressed by a convention that came later, called the Convention on Liability. What’s perhaps most interesting about it is that the signatory-nations all agree to be absolutely liable for damage to other nations resulting from space objects. So if a satellite falls from space and the U.S. has launched it, the U.S. government is ultimately responsible. There’s no other agreement that I’m aware of that has reached an arrangement like this on both government and privately-owned equipment. Well, there’s the treaty commonly known as the Moon Treaty. It’s only been ratified or signed by 17 states — the U.S. is not a party to it. Really? We're not part of the Moon Treaty? Why not? Basically because the Moon Treaty includes provisions which state that the resources of the Moon need to serve the “common heritage of mankind.” Right now, we haven’t gotten a ton of resources from the moon — the rocks from the Apollo mission are about all that come to mind. But if commercial resources were ever developed, proceeds would arguably have to be shared with other nations. There are a number of provisions in space treaties that aren’t exactly business friendly, and this is one of them. So what do space lawyers do? Right now, there’s really very little litigation going on. But there’s lots of entrepreneurial activity. So people making money in space law really are doing traditional commercial law. They’re doing FCC licenses and other issues related to satellites, such as getting clearances from the State department on export control. Space lawyers also handle bankruptcy cases. Then there’s a whole separate but related practice helping countries do joint projects with industry and governments. We also recommend reading our post entitled, A Cursory Glance at Space Law. The future of all transnational law is indisputably space law, and I urge anyone reading this to explore issues of space law. A good place to start would be the new blog Res Communis. It is written by four lawyers and researchers at The National Center for Remote Sensing, Air, and Space Law Center, which was founded in 1999 and is housed in the University of Mississippi Law School. The Center publishes the Journal of Space Law, which is the world’s oldest journal dedicated to the topic, and the only one in the United States. Their first couple of posts are very creative and extremely informative, covering everything from the vitality of the Outer Space Treaty to Space Money. Also, check out the Space Law Probe, which claims to be "not for lawyers and space tourists only." 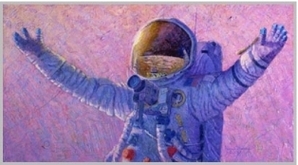 The author Jesse Londin has been writing about space law issues since 2005, and this blog seems to cover everything, including Space Law Moot Court Competitions to brief expositions about moments in the history of space law like the launching of Sputnik. And then there is the Space Politics blog, which has been around since 2004. It incisively covers what's going on in D.C. regarding the USA's space policies and agendas. If you're wondering how much money is being budgeted for getting to the moon these days or if you're curious about the future of human space flight in UK, then you're going to want to check out this blog. 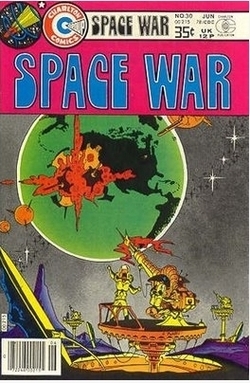 As its tagline states, "Because sometimes the most important orbit is the Beltway..."
It is quite possible that the US has frittered away the last 35 years of space superiority, legitimately creating a bona fide fear on Capitol Hill of the US being shoved into second place by a new generation of challengers. The main challenger today is China, which continues to bolster its space programs while the US public and its representatives continue to lose interest. Despite America's dependency on outer space, their interest in space continues to wane. Rep. Terry Everett (R-Ala.), a senior member of the House Armed Services, Intelligence and Agriculture Committee, said space is mostly an unsecured resource, and few Americans understand their dependency on it (see here). The dependency on outer space goes beyond military dependency and encompasses many modern conveniences such as weather reporting, global mapping, ATM machines, agricultural reports, global positioning systems, the trucking industry, communications, airlines, the scientific community and many other areas. A NASA administrator recently stated that China may win the new space race. "I personally believe that China will be back on the moon before we are," said NASA Administrator Michael Griffin. "I think when that happens, Americans will not like it. But they will just have to not like it." China plans to send a probe to the moon by the end of the year, and by 2017 they have planned a robotic mission to return with moon rocks. The US plans to put men on the moon again by 2020 and it is unclear whether China can beat this deadline or if the US can meet this deadline. Joan Johnson-Freese, head of the Naval War College's national security decision-making department, said the U.S. is "more technically advanced. We certainly could be back on the moon faster than the Chinese, but we don't have the political will and therefore the resources to do it." While American interest in outer space declines, others are obviously taking a keen interest in outer space. 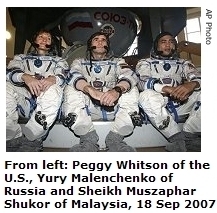 Malaysia's first astronaut, Sheikh Muszaphar Shukor, flew in a Russian rocket to the international space station earlier this month. The orthopedic surgeon and university lecturer from Kuala Lumpur is the first Muslim to fly into space. Also aboard the flight was US astronaut Peggy Whitson. As of this mission, she is the first female commander of the space station. Although this flight seems to symbolize an era of international unity and cooperation, it is actually accompanied by acrimonious posturing amongst all of the players. Russia recently lashed out at the US in response to reports concerning the US's intentions to place missiles in eastern European countries and to produce a new generation of missile defense shields similar to the 1980's "Star Wars" program (see here). The Russian Space Forces Commander Colonel-General Vladimir Popovkin said that no country had the right to declare itself the sole proprietor of outer space and strike forces should not be deployed there. "We need to have strong rules about space, to avoid its militarization, and if any country will place a weapon in space, then our response will be the same," he said. The Russian commander's comments were directed at China as much as they were aimed at the US. A year ago, the US enacted a new jingoistic space policy that basically declared outer space to be the 51st state of the Union. The US policy rejects future arms control deals that would limit US flexibility in space and asserts a right to reject access to space to any country considered hostile to the US. A few months later, China used a ballistic missile to shoot down one of its own weather satellites, making China the third country to ever successfully shoot down a satellite after the US and Russia. This demonstration caused major international concern that this would precipitate an outer space arms race (see here). A treaty making outer space a weaponless sanctuary would benefit the US far more than it would benefit China. War strategists in China have recognized that the US's assets in outer space are the Achilles' heel of the US military. They have determined that the best way to defeat the US military is through anti-technology technology, spawning a number of space warfare programs, including the ominous sounding "Assassin's Mace" (Shashoujian). The main idea of the "Assasin's Mace" is to blind and stun an attacker, providing China with enough time to launch an array of supersonic cruise missiles and "squall" rocket torpedoes, which are all meant to destroy aircraft carriers, while also launching unmanned combat aerial vehicles, which will fire anti-ship missiles at accompanying vessels within the aircraft carrier group before dive bombing into naval ships. China will blind its attacker(s) by disabling satellites and hacking into the computers of its opposition. To do this, the Chinese will utilize various forms of anti-technology technology. They will use maneuverable "parasite" micro-satellites that have secretly attached themselves to vital radar and communication satellites. Also, they will use space mines that will move close to satellites and then detonate, and they will use ground-based anti-satellite lasers. To ensure that their attackers are sufficiently blinded, the Chinese will utilize hackers to disable enemy computer systems. According to the Times, Sami Saydjari, who has been working on cyber defence systems for the Pentagon since the 1980s, told Congress in testimony on April 25 that a mass cyber attack could leave 70 per cent of the US without electrical power for six months. All of this should be a signal to us, the American people, to wake up and demand that our representatives push for more money in all kinds of space programs. Outer space and the moon are rich in resources, and the military advantages of outer space cannot be denied. It is imperative that we become as interested in the space race today as we were a generation ago. The Department of Homeland Security (DHS) has asked some science fiction writers for some assistance in... Well, in homeland security. The DHS was formed in response to the terrorist attacks on 9/11, which were events fairly similar to the suicide-747 attack on the US Capitol at the end of Tom Clancy's bestselling 1994 book Debt of Honor. The Illuminati board game, based on the bestselling novel The Illuminati by Robert Anton Wilson, has a card called "terrorist attack" which has a picture that is very similar to the World Trade Towers being hit by an airplane, and it was made in the eighties. It makes sense that if you you're looking for some original ideas about how to deal with the problems of tomorrow, then you might want to get the assistance of some of the world's more imaginative people. An article about the DHS conference said that the science fiction writers were reluctant to give up their best ideas for no cash. Can you blame them? Some of their more helpful suggestions were material that becomes armor when struck by a bullet; an antibiotic that cures martyrdom; and a satellite that beams solar energy to earth. Apparently, the armor and the satellite are retreads but a cure for martyrdom was news to everyone except the people working psychological operations (however, it's a pretty good bet "martyrdom" is not caused by a bacterial infection and thus not susceptible to antibiotic treatment). At a different conference, an Israeli futurologist was happy to divulge his thoughts about what the future may hold (see here). Dr. Yair Sharan, director of Tel Aviv University's Interdisciplinary Centre for Technology Analysis and Forecasting, predicted suicide bombers remote-controlled by brain-chip implants and carrying nano-technology cluster bombs or biological compounds for which there is no antidote. It's possible these were the kind of ideas the DHS was looking for when it brought together a group of sci-fi writers. The sci-fi writers might not have given their best and freshest ideas at the conference, but it's certainly true that science fiction has sometimes predicted the course of technology a long time in advance. Robert Heinlein is a good example of this phenomenon since he described in his books future inventions such as cell phones and the internet. Science fiction writers have also contemplated future difficulties we will encounter in the law. For instance, Heinlein gives a lengthy discussion in his book Stranger in a Strange Land of property issues that will have to be dealt with in connection to who owns the moon or another planet. It is probably best that we all take some time to read some science fiction and consider the possible issues of tomorrow if for no other reason than to keep our imaginations limber.